Mt. Ashwabay is more than just a small-town ski hill. 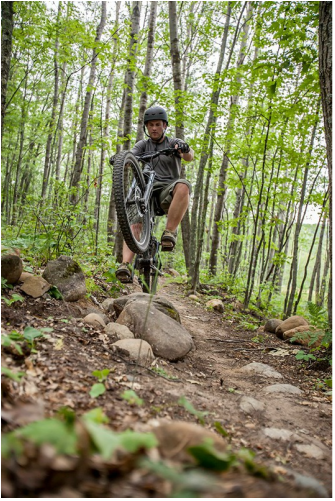 Our trails stay open year round and provide the perfect setting for a peaceful summer hike or a thrilling mountain bike ride. Enjoy miles of wooded trails with stunning views of Lake Superior from the top of the hill. A summer of concerts and performances under the Big Top tent. The Ashwabay Grill and T-Bar serves up your favorites at summer concerts and events.